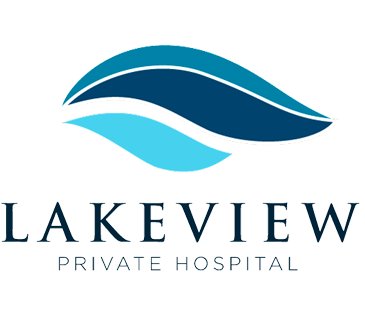 Lakeview Private Hospital boasts a purpose built modern rehabilitation facility including an impressive hydrotherapy pool and spa. 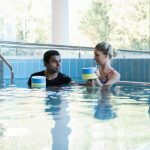 But what exactly is hydrotherapy… how can it help arthritis sufferers… and just how effective is it? Arthritis and musculoskeletal conditions are chronic illnesses in Australia. Recent statistics suggest that arthritis affects over 3 million Australians. 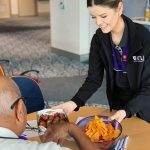 More than a third of Australians aged 65 or over meanwhile are affected by arthritis whilst it also affects more than half aged 85 years or more. The disease is not well understood. The fact is that arthritis is not a single disease but more a means of referring to joint pain or joint disease. Indeed, there are more than 100 different types of arthritis and related conditions. The main arthritic conditions, osteoarthritis, rheumatoid arthritis and gout are all well known. 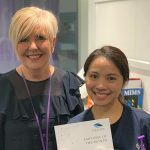 Children can also be affected with juvenile idiopathic arthritis (JIA) which affects about 6,000 children in Australia. This is similar to the amount affected by type 1 diabetes under 16 years of age. Arthritis symptoms include swelling, pain, stiffness and decreased range of motion. Pain can be chronic and the decrease in movement can result in the inability to do simple daily activities. There are a number of treatments that enable those suffering from the disease to take control and live fairly comfortable and active lives. Hydrotherapy not only improves strength but general fitness. This can help the individual to do those simple daily activities in a greater degree of comfort. Hydrotherapy is a water based therapy that enables people to perform exercises in a “joint friendly” environment. For arthritis sufferers this means an opportunity to have 50-70% of their body weight suspended by the water whilst completing exercises. People with painful joints are only too aware of the effect that some weight bearing exercises can have on pain. Hydrotherapy sessions are conducted by a physiotherapist or exercise physiologist who prescribes the most appropriate exercises for your condition. These exercises are tailored to meet your body’s needs with the goal of improving your quality of life. How does it help & what types of arthritis is it used for? There are more than 100 types of arthritis and many of them could benefit from hydrotherapy. At Lakeview Private we treat patients with many different types of arthritis including the most common, osteoarthritis and rheumatoid arthritis. By participating in hydrotherapy you are benefiting from the reduced weight on your joints, the resistance of the water challenging your muscles and the warmth of the water easing pain and any muscle spasm. Exercises are conducted slowly and in a controlled manner so as to avoid unnecessary stress on the joints. Lake view Private’s hydrotherapy pool maintains a therapeutic 33-35 degree water temperature, can be entered via stairs or a graded ramp, has rails all the way around and is between 0.9m and 1.3m deep. All these features are designed to meet the needs of people affected by joint pain. Although there are studies highlighting the improvements in pain, quality of life, strength and function from participating in hydrotherapy it is best used in conjunction with other therapies and treatments. From our experience at Lakeview Private the patients love attending hydrotherapy and feel it complements their other therapies. Our patients have often had hip or knee replacements but may have arthritis in other joints too. 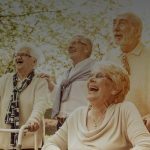 Overall there are a multitude of treatments that can benefit arthritis sufferers and we believe hydrotherapy should be considered as one of them. Referrals for treatment using Lakeview’s Hydrotherapy pools are welcome from specialist consultants, rehabilitation physicians, GP’s and other hospitals.